Canon has a variety of camera types floating around for different kinds of users, including the 2013 70D, an enthusiast level DSLR. That camera released simultaneously with a few other camera models and didn't do much to stand out from the pack. What Does the Canon 80D Do? 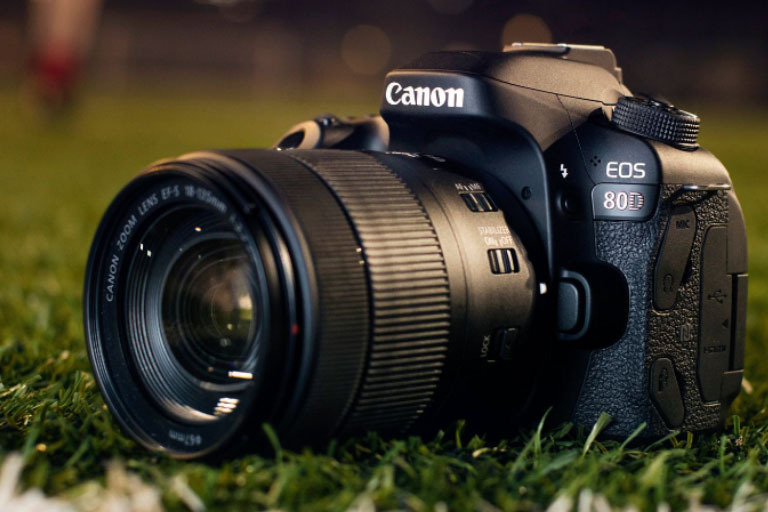 The Canon EOS 80D camera is the successor to the 70D, bringing several different upgraded features into the mix. Several of its specs were a definite improvement from its predecessor. However, are those improvements enough to make the Canon 80D stand up in the world of modern cameras? Our review dives right in to give you the breakdown on what this camera can do. 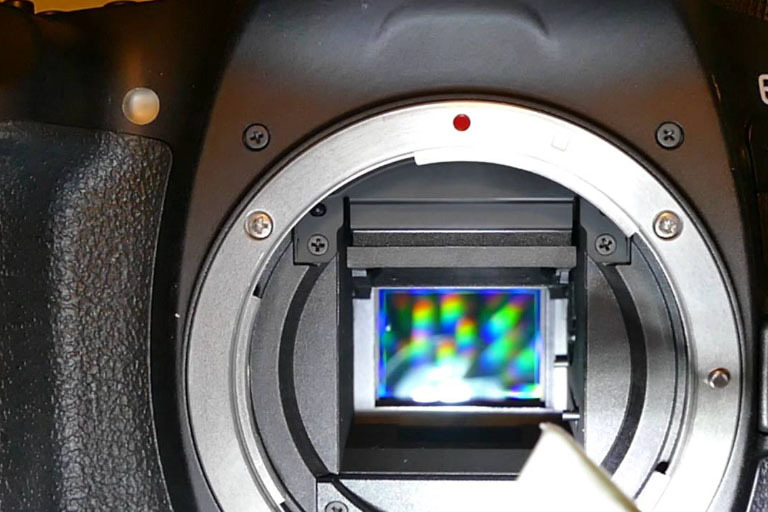 One of the strongest aspects of the 80D is in its sensor. The 24MP APS-C has much greater capability than the older model in the series. This upgrade helps when it comes to dynamic range, as well as helping Canon cameras stand up amongst the other brands on the market, especially with the leaps and bounds that Sony has been making. The 80D handles very smoothly, especially for advanced users who have experience working with cameras. All the buttons you should need for a camera in this class are available, and the menu matches up with everything you'd expect from a Canon system. However, even with the simple layout, there are much fewer reprogramming buttons possible for you to make all the changes you may want to fit your preferences. The camera also has buttons more focused on the right side due to the flip screen, which can take some time to get used to when you come from another camera. You may also have trouble navigating some buttons with gloves on. With the overall improvement to the 80D, the image quality is just what you'd expect from a camera that's come out in the past few years. However, to get the images you like, you'll want to change out the default JPEG settings or shoot in raw. One setting you'll likely want to swap over is the automatic white balance, as it isn't the most effective. The defaults don't perform very well indoors, and it's only partway more effective in natural light. Even there, not changing the settings may adjust some colors—like blue to purple. Still, this balance can help with other color adjustments. The build of the 80D is another one of its top features. Overall, the plastic casing can hold up to a broad range of situations, which is great for photographers who put their cameras through a lot on a regular basis. 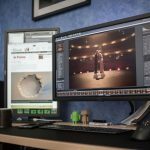 This balance is especially outstanding since it is starting to creep up in price (though not as high a professional level cameras), so you want it to last. Another useful feature of its build is the full weatherproofing. Weather resistance is a critical feature for people that routinely take their cameras outside. If you work with nature or street photography, the weather resistance will work very well in your favor. The 80D's screen has a lot going for it in many forms. Starting with the 1.04MM articulation, you do have a quality viewing on the screen. Additionally, it's touchscreen operational, which is a feature that we pretty much expect on modern cameras. However, the touchscreen has enough contact balance that you can use the viewfinder without too much trouble of adjusting the screen with your nose. Some of the best features of the screen are also in its flexibility. You can tilt the screen, which is helpful for those that need to take photos without always raising the camera to your eye. Also, the display also flips around so that you can view it from the front, which is an excellent feature for people who take self-photos as well. One drawback of the flexible articulating screen is that you can dirt and other debris can become stuck in the compartment behind the screen. However, this is a problem with any articulating screen you'll find, but you'll want to keep that in mind if you're routinely shooting in sandy conditions. 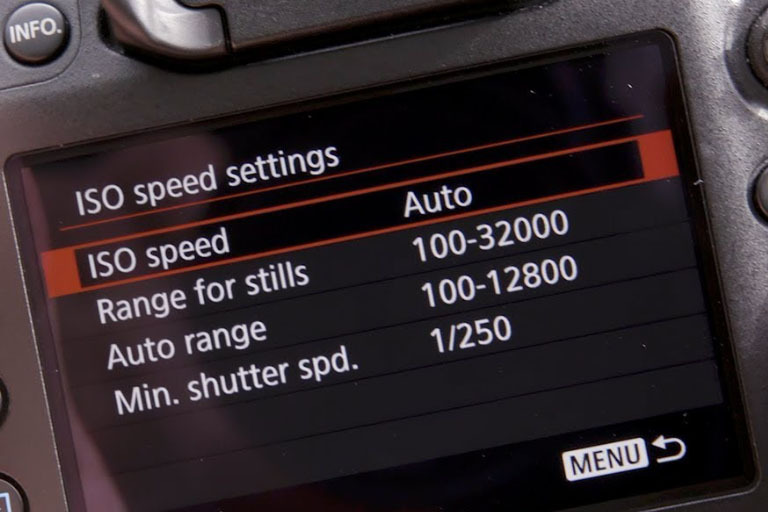 The auto ISO is Canon's most recent iteration of ISO. You have the option to program the settings fully, with two primary options. You can adjust the physical shutter speed, or you can bias the default shutter speed from the default through a slider. Adjusting the default speed is a smart move because it's too slow to handle anything other than static scenes or landscapes. That means that, if you shoot anything else, you'll likely want to adjust the default auto ISO upwards. Otherwise, you'll want to work with manual settings, which may be more suited to your preferences. 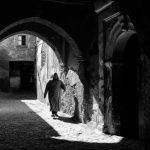 We briefly mentioned autofocus in the image quality section, but it's worth delving into more detail. The Dual Pixel sensor does a lot of good work, and the continual autofocus can help in Servo. It best works best in video and still shots in live mode, to help capture different footage. It's also better at tracking elements than many other DSLR cameras on the market. However, the autofocus performs much better for nonmoving subjects in somewhat dark areas. For anything else, you may find yourself needing a different camera. Fast moving subjects like sports and wildlife won't focus and track as well, so you may not see the D80 as high performing enough to meet your needs. The D80 does have wireless capacity in that it can connect to a Wi-Fi network. You also have NFS capability. 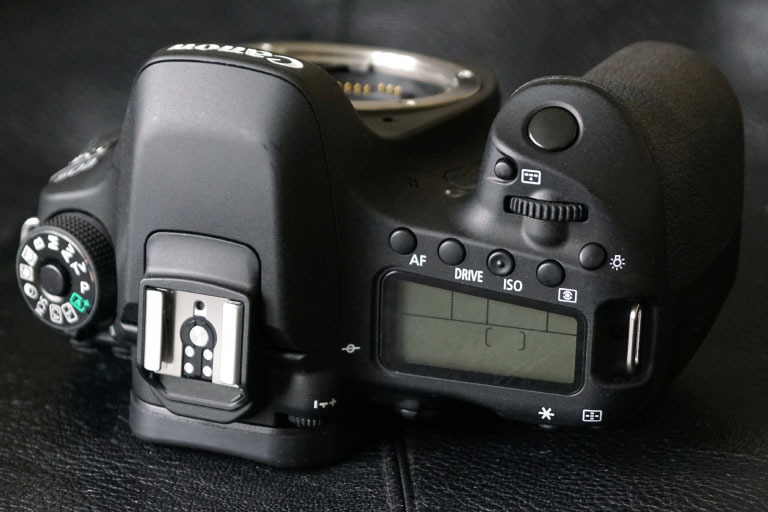 However, one of the major features that's missing from the D80 that you can easily find in most other modern cameras, like Bluetooth capability. Depending on your preferences, not having Bluetooth may not be the most significant blow for you. However, since we know that Canon's more than capable of pulling off these features, it feels like they're holding out on what they put into their cameras, rather than giving us the full extent of their technology. 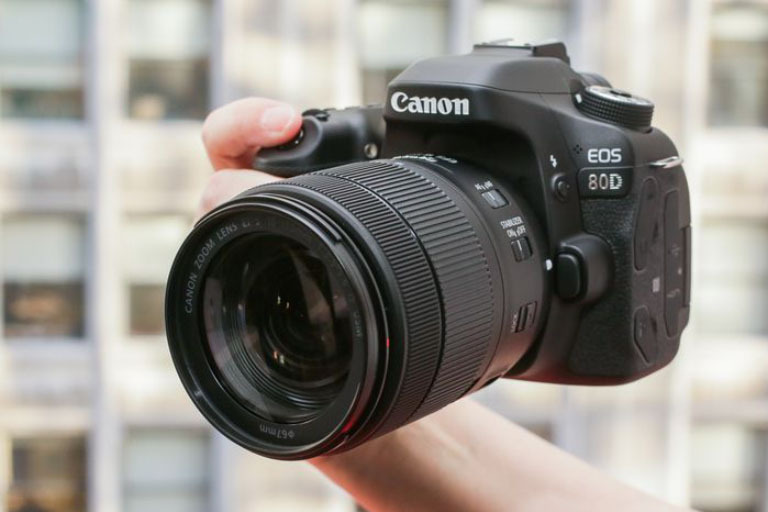 The Canon 80D sells for an MSRP of around $1,200. While this value is in the four-digit range, it's on the low end of what camera prices are capable of – especially when you start getting into the professional field. The enhancements to the 80D over its predecessor make it a worthwhile upgrade, and Canon seems to be aware enough to not overcharge for an enthusiast level DSLR that's missing some top features. Naturally, if you want to have a lens included with it, you'll need to go a bit further. If you pick up the 80D with Canon's older 18-55mm STM lens, you're looking at an MSRP price of around $1,350. However, the 18-55mm STM isn't Canon's newest lens by a long shot. Picking up the 80D with the more modern EF-S18-135mm USM lens (which is much more powerful), you can expect to up to $1,600. This combination is a decent deal as the lens on its own goes for less than $600 on its own. If you're planning on getting both, then pick them up as a set, rather than separate. As far as cameras go, the 80D falls into a price range of fair but without a wide range of appeal. If you're a more casual photographer, you'll likely feel satisfied with a less expensive model. However, professional photographers may want a bit more regarding features, and paying in a higher price range will be justifiable for your causes. 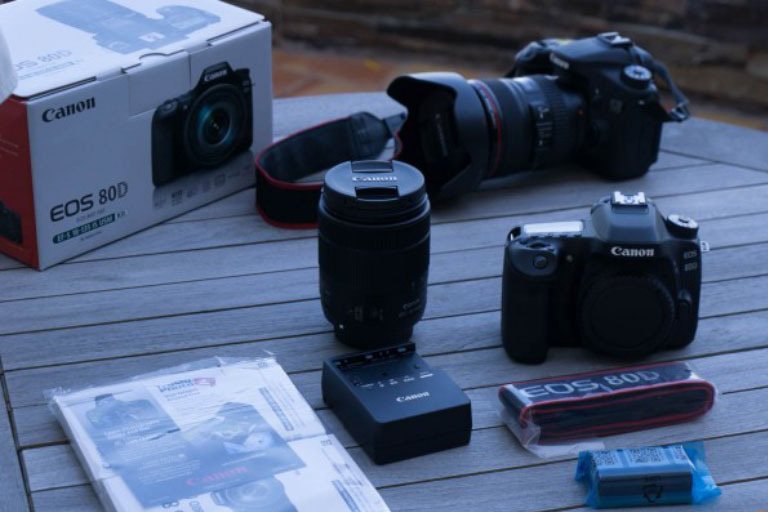 Overall, reviewers and users find the Canon 80D to be an excellent camera that gets the job done at a reasonable price point. 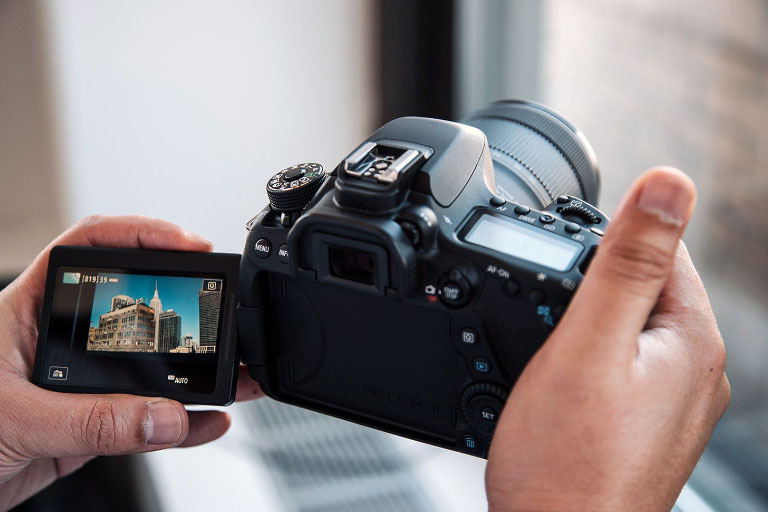 It's a strong model even a few years after its 2016 release, with enough upgrades from its predecessor to make it able to stand amongst other cameras, even with its more limited set of features to modern models. 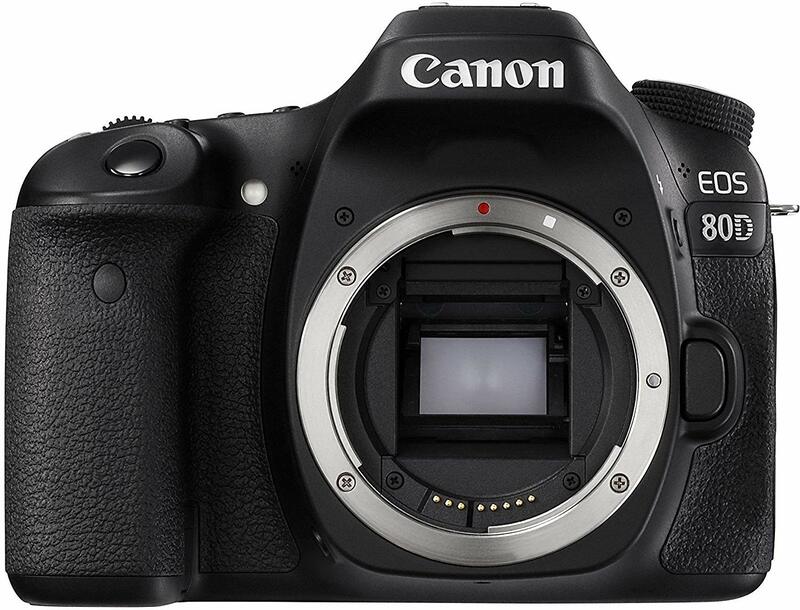 However, the fact that the 80D is missing features like 4K and Bluetooth, which are much more standard across cameras these days, makes many reviewers wonder whether Canon is pacing out its releases. 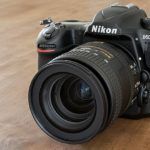 Other cameras across the market give the 80D a strong run for its money, and you may find yourself comparing against other models as you go. Since a substantial portion of how well the 80D performs is in comparison to its predecessor, the 70D, we won't focus too heavily on that for this section. However, the 80D is on a somewhat clustered end of the market amongst other DSLR cameras that released around the same time and fall into the same rough price range. One notable competitor amongst other Canon models is the 7D Mark II. The 7D II is much more suitable for getting rapid and sharp focus on moving targets. For action photographers who work with sports and wildlife, the 7D II will do you much more good if you don't mind paying the higher price. Photographers that work on landscapes and other still targets will settle in just fine with the 80D. The 80D also competes closely on par with Canon's Rebel series. So long as you're working with one of the newest Rebel cameras, you'll have the same sensor in both, pushing out the same level of image quality. However, the 80D has an edge in more natural control for those who want to work with manual or semi-manual features to tweak their shots. Outside of Canon, the Nikon D7000 series falls in the same class as the 80D. 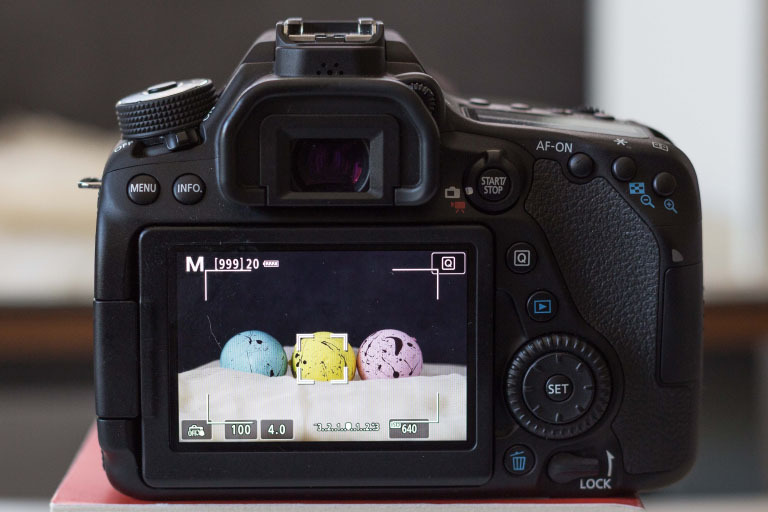 The D7200 has better autofocus and 2/3 stop improvement at high ISO values. It also has dual card slots for boosted memory capacity, but it's missing the on-sensor phase detection and no tilt-flip screen. 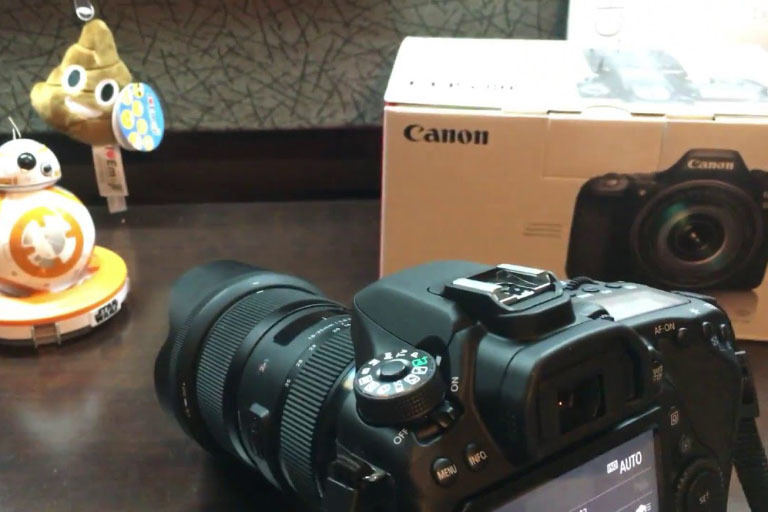 The D7500 costs more, but it has a much better frame rate and video quality. The choice depends on your preferences. Overall, the Canon 80D falls into a fascinating place on the market. It doesn't have all the top of the line features that many modern cameras are capable of, most notably regarding 4K video and Bluetooth capabilities. 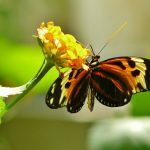 For people who want these features, especially those who are aiming for a camera to primarily record on, the lack may be disappointing enough to encourage a different purchase. The autofocus performs very well but isn't the best for people who work with high motion targets. Even so, the overall performance of the 80D is dominant. With the price range on this camera, some people may feel more satisfied with a lower cost camera, but we would recommend the Canon 80D for users of the 70D who want to upgrade and don't mind missing out on 4K video and Bluetooth features. 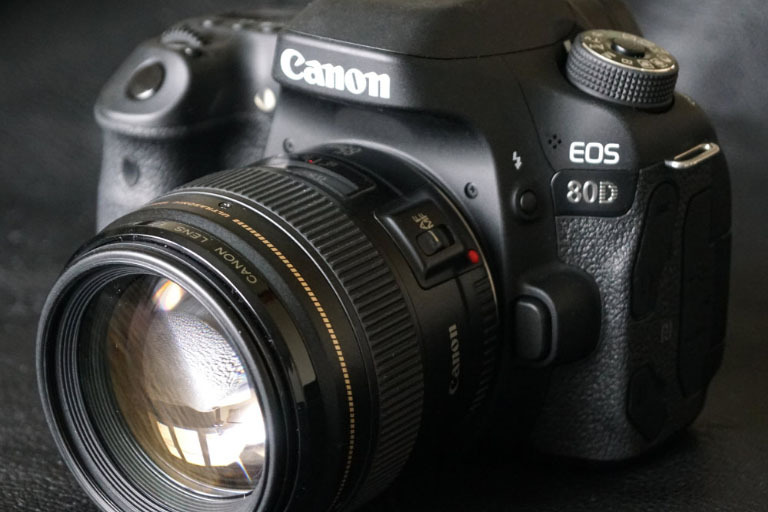 The Canon 80D may have a four-digit price point, but that's for just the body. Canon has several packages available that combine the camera with other lenses, as mentioned earlier. There are also other packages that bring in other accessories at much better prices than it would be to buy them individually.